Washburn Point is the “wow!” before the “WOW!” that is Glacier Point. 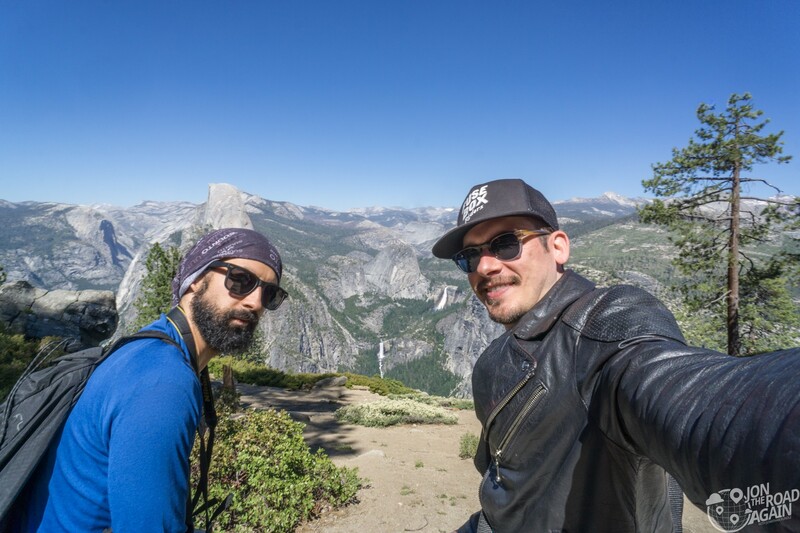 Washburn Point has a couple of advantages over Glacier, so read on to learn about this overlook in Yosemite National Park. 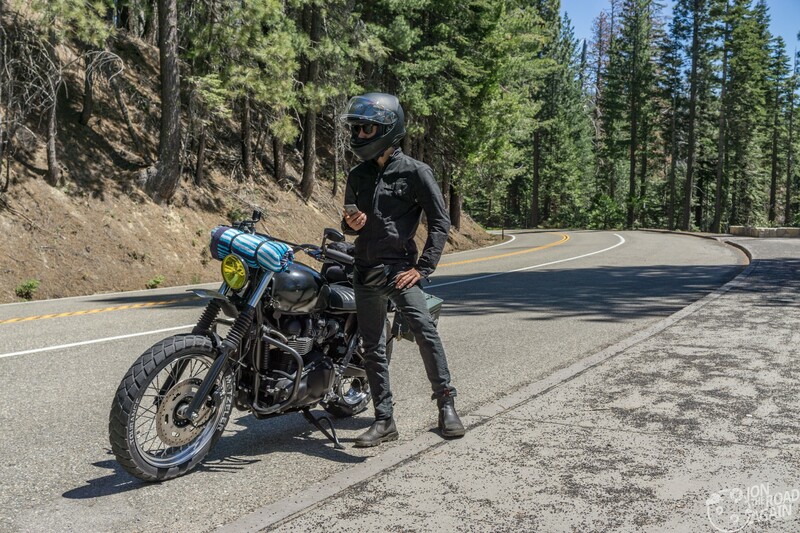 Being a couple of motorcyclists, we appreciate a good road. Wawona Road will take you all the way from the south entrance station (we stopped off at Mariposa Grove), through Tunnel View Overlook, and to Yosemite Valley. 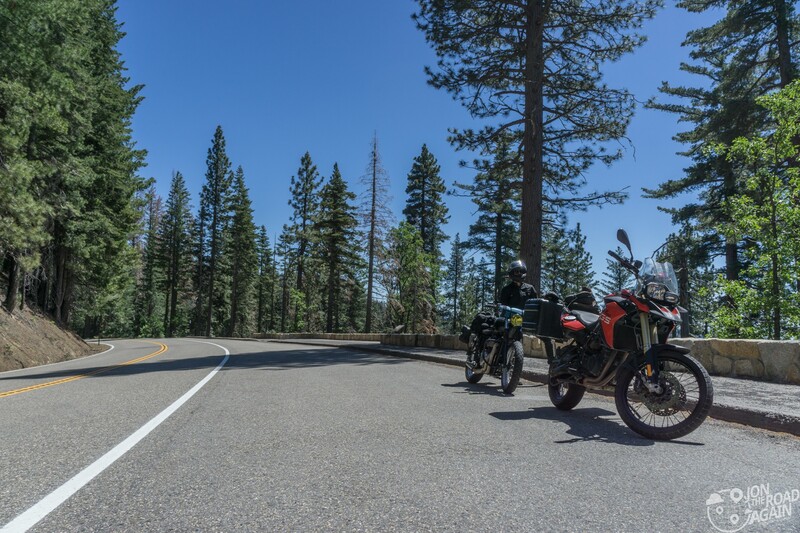 It also connects with Glacier Point Road, which is how you get to the great overlooks of Washburn Point and Glacier Point. Andrew! Cool motorcycle pose! And go! As mentioned before, this is the “wow” view. 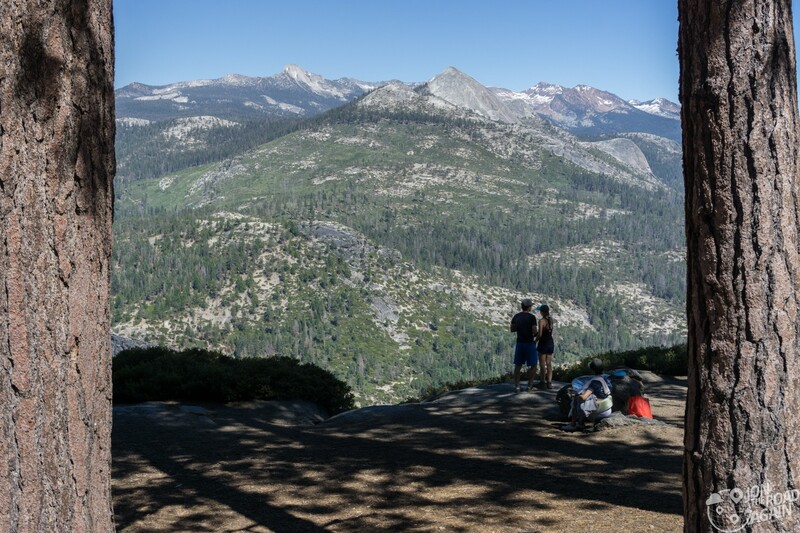 You turn a corner and you’re treated to a wide open view of Yosemite and other points east. Washburn Point is less crowded than Glacier Point. Most people take it in and get moving to Glacier Point which is just up the road. This view of Half Dome only shows the profile of the face, at Glacier Point you can see more of it. 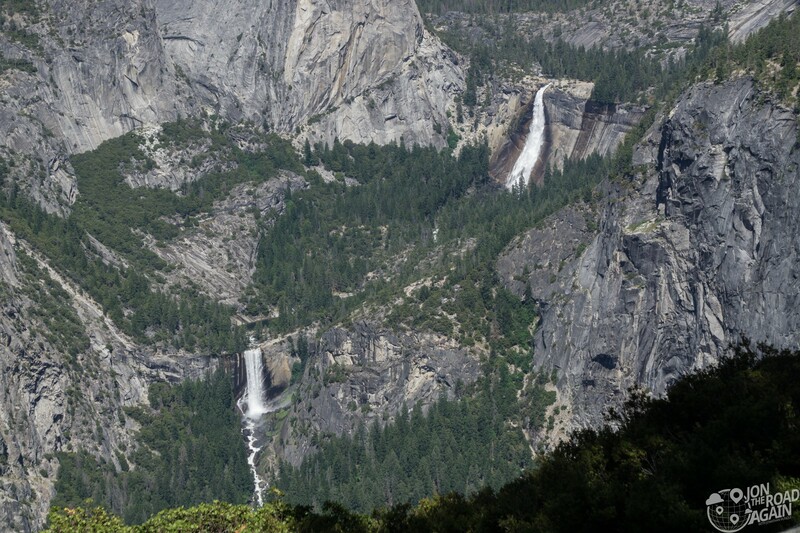 In addition, at this viewpoint, you are unable to see Yosemite Falls. The advantage this viewpoint has over Glacier is the view of the waterfalls on the Mist Trail (which we hiked yesterday). You’re right on top of them here. That’s Vernal Fall and Nevada Fall below. The most surprising thing about these overlooks is the sound of the waterfalls from way across the valley. They are raging and you can really hear that. 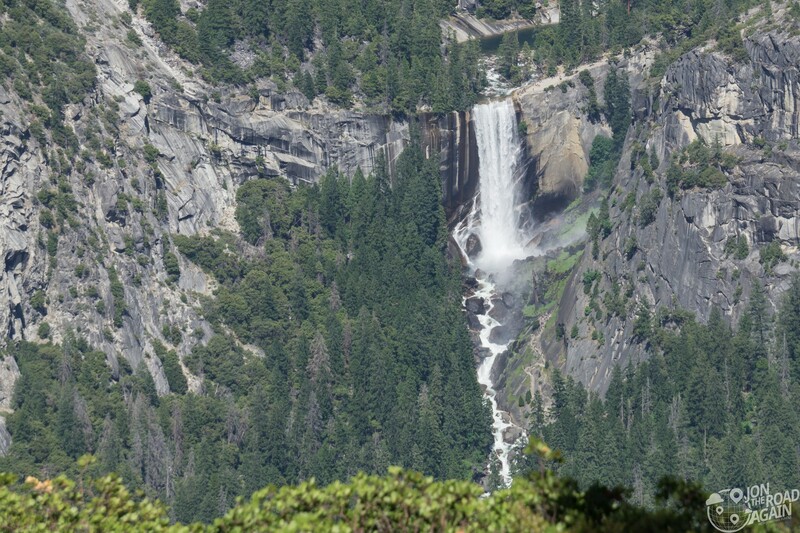 Let’s take a closer look at Vernal Fall where you can see the misty trail that hugs the hillside just above the Merced River. This was a short post, I will admit. But the most spectacular viewpoints of all the national parks and perhaps the world is just up the road. 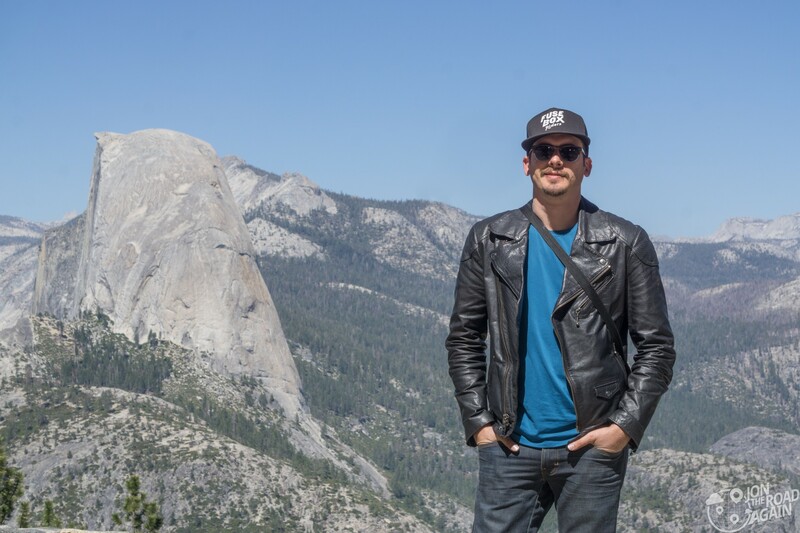 Let’s continue to Glacier Point, where we’ll spend the rest of the evening watching the sunset and seeing the stars.